We've come to the end of another 5 week session and were able to end with some strong academics. 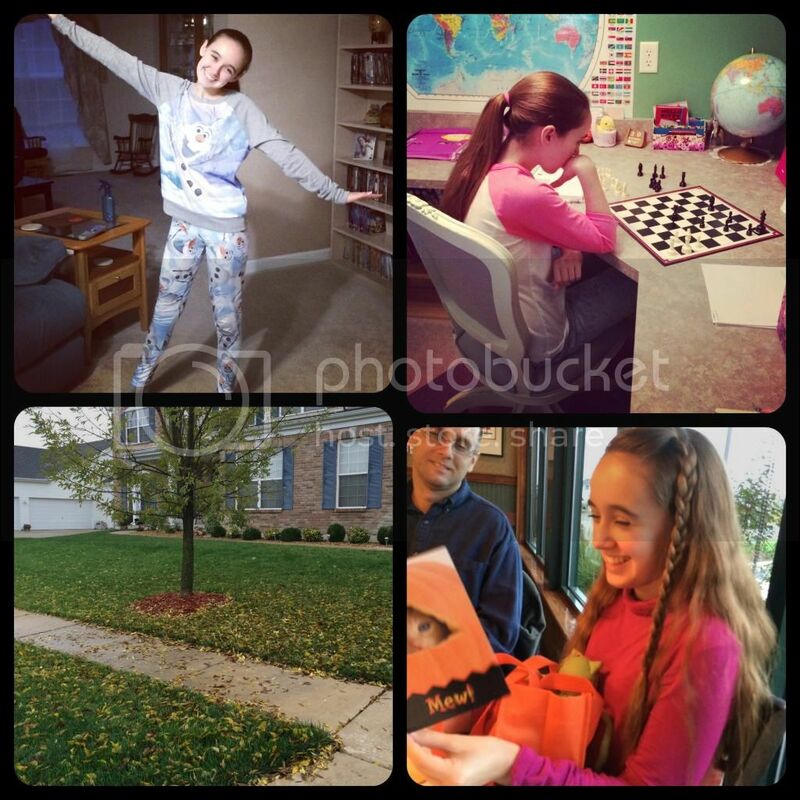 It was still a difficult week for Amber's dysautonomia, but we've been working on adjusting her schedule to deal with her low orthostatic blood pressure and reflex tachycardia. By accident when we were just going with the flow on Monday, we came up with a new plan that's working well, at least on days when she doesn't have co-op or a morning appointment. Normally Amber showers as soon as she wakes, just like me. We've never been the "hang around in your pajama" type. But with Amber's dysautonomia, many mornings it is too hard for her to get out of bed, so she stays there and rests / sleeps. With the new routine she stays awake when she first wakes up, but instead of attempting her shower I bring breakfast to her bed. Amber then gets up just enough to make the bed and maybe fetch a fuzzy blanket. After this she does her morning school lessons from her bed. It really felt like we were slacking off the first day of this schedule. Amber still showers and gets ready in time for lunch, but the delayed shower helps her by spreading out the incidents that will cause tachycardia. She also is able to rest during an extended lunch time and be more productive throughout the day. Actually, she was more productive this week than in a long time. We learned that we need to rethink how everything works around here and we do have permission to schedule our lives as needed. Working from her bed both before and after a shower. And some of the work produced. She also wrote articles and designed advertisements for her Medieval Times newspaper. I joined a support group for POTS (dysautonomia) on Facebook, but it is actually the electronic extension of the group based out of the neuroscience center where Amber's doctor works. The group has monthly meetings and other get-togethers. Unfortunately, we've been unable to make any of the meetings yet, but it's been lovely to talk to people online and know that we aren't alone. It's so humbling to have these people, who I know are feeling just as awful as Amber, be willing to help guide me through the care of my child. Amber is younger than most of the other POTS patients, so that means I'm kinda the healthy person in the support group. However, they are such a wonderful, welcoming and supportive group, even if I'm not the "sick" one. I hope one day we can be like this for others too. Now for a confession. We've been struggling with science this year, even though it's Amber's favorite topic of them all: Earth science and astronomy. Especially the astronomy. And by struggling, I mean we're lucky to have done more than 5 lessons all school year. The curriculum is lovely and I still wish, oh so much, that it worked for Amber. We've used several products from this company, so it's not like this was our first go around. Still Amber is finding the reading to be uninteresting, she hates the assignments with a passion, and thinks the very few experiments are dull. It is also missing topics that she loves to study about space. Clearly, this was not the reaction I expected when I purchased the curriculum. I do have to admit right now we are in the section where there are no experiments because the author expects us to be participating in a science fair (not happening). I've tried to come up with some of my own experiments, but I don't have the time. That's why I bought curriculum, to spare me the time. We gave ourselves permission to jump ship this week and look for a new science curriculum. I would love to be able to pull something together myself for this topic. However, I did learn from my experience with history this year - where I basically spent months recreating Tapestry of Grace before realizing it already existed. Also, I don't have that type of time anymore. I need something more hands on with less emphasis on encyclopedia reading & note taking, more adaptable to Amber's fluctuating energy and abilities, and it MUST not need huge amounts of adjustment from me. (Top-L) Our little Frozen fanatic in one of her Frozen themed outfits. I totally forgot to take a picture with the very cool Elsa pants and other Olaf top. (Top-R) She adores chess and tactics. This was working on the homework for her chess class. (Bottom-L) While the leaves were turning colors we didn't have a lot on the ground, until one day, we did. (Bottom-R) Dinner with Fred's parents and an early Halloween gift from Amber. We are sad because later this month they are moving across the state to help other relatives. I showed Amber samples of the Apologia science I intend for her to use next year and it received an absolute "no" from her. Apparently it is too "textbooky". She's really embracing this whole project learning aspect of school. We then discussed the future of her science lessons as she will be using Apologia in high school, especially since Amber has indicated in the past week a definite desire to go into a science field. As a compromise we will probably not use Apologia until high school (instead of 8th grade), but Amber has agreed that is will be necessary to move into something different for a high school level of learning. After half a day of research together we settled on trying a couple of topics from REAL Science 4 Kids, Focus on Middle School. Amber thinks she will like this and it's adaptable enough. We can also add in readings from the multitude of science resources that we have already from the other curriculum. I'm still mourning the loss of Elemental Science, but will try to be positive about the new curriculum. We ordered both the Geology and Astronomy Focus on Middle School units, however neither cover weather which Amber has been looking forward to studying. So, now I'm trying to put together a middle school worthy weather unit to use while we wait on the new curriculum. This is especially timely since in early November we have a homeschool group field scheduled for the National Weather Service office in St. Louis. Actually, it's not in St. Louis, it's in a western municipality about 7 minutes from my house. If anyone has any ideas for a weather unit, I would be thrilled to hear. Next week is our break week, so I've got a small buffer to come up with ideas. Despite the ongoing dysauotnomia flare, Amber has created quite a few history projects this week and written 6 articles for her Medieval Times newspaper. 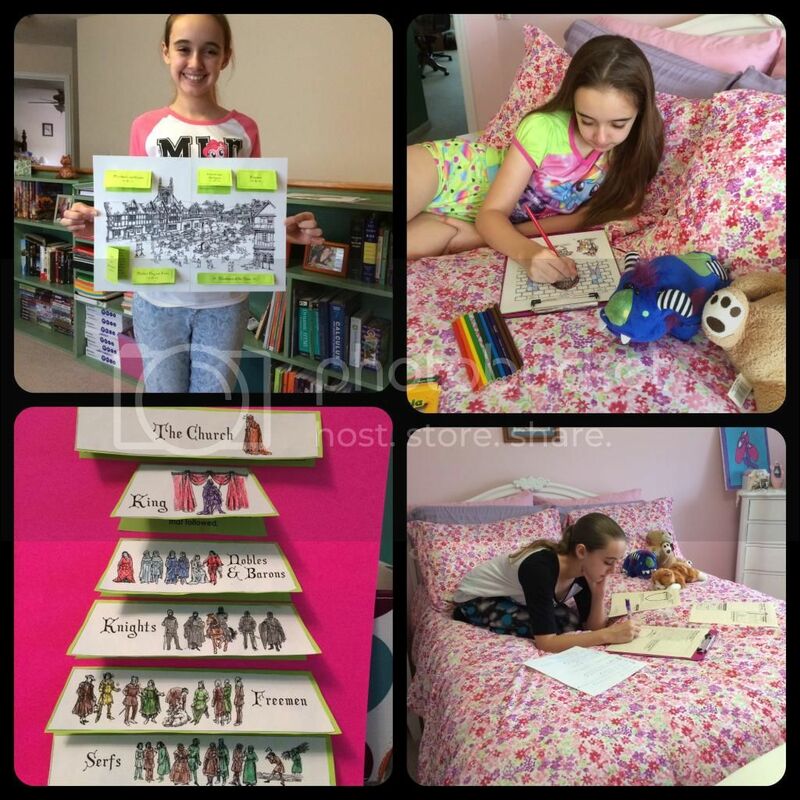 We both truly love our combination of Tapestry of Grace and Home School in the Woods Project Passport Middle Ages. We wrote a review of Project Passport Middle Ages this week. It really does provide a wide array of learning methods. My Little Pony... er Amber. It was the October "Amber and Mom" day today. A trip to Build-A-Bear and the LEGO store, lunch with Grandma and then fun at home. Amber has been busy practicing her flute this week too. Monday evening she did her first ever rehearsal with a choir. Tomorrow Amber is playing the welcoming music for the creative arts center's King's Faire, and then is accompanying the choir on one of their songs. Amber was so proud of herself for successfully navigating how to become an accompanist since her experience is as a solo or band player. There is also a church confirmation group hayride and bonfire on Sunday. We want Amber to participate in as many activities as possible with the group, but many are simply not plausible - like the weekend retreat. However, if I provide her snack for the bonfire and attend as one of the chaperones, the event on Sunday is quite acceptable. I hope this doesn't wear Amber out too much. While next week is an official break from school and co-op classes we have a full week scheduled. Between the two of us there are 4 doctor's appointments (3+1), a homeschool group teen outing, the homeschool group Halloween party, and foster parent classes. Amber has more testing at neuroscience which will hopefully include her autoimmune anti-body test. 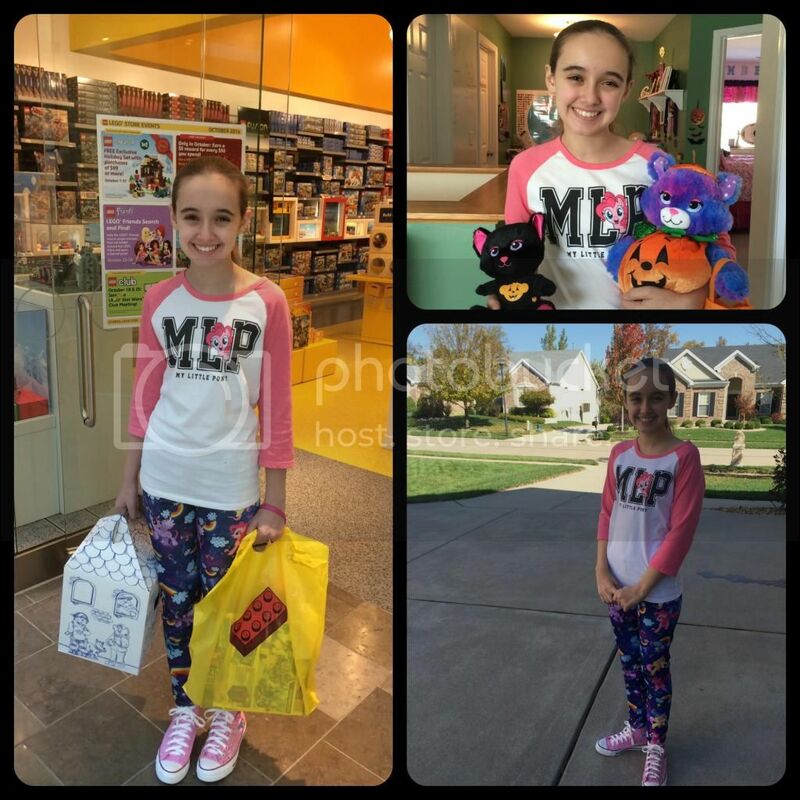 If they haven't worked out the politics to make that test happen by our appointment we will probably begin the process to have Amber seen by the specialist at the Mayo Clinic in order for them to do the blood test. I'm seriously disappointed in how so many medical groups / companies claim to have the best interest of patients at their core, but still can't manage to get one little girl her very needed blood test. Ok, I'm a little OCD and had to go searching for weather. I remembered a site that I had looked at last year for Margaret. I didn't use it then as it didn't have the topics that I needed but I would like to use it at some point. There is also a Astronomy course on Khan Academy that I looked at for a friend. I will pray that the blood test finally happens. I can't imagine wait this long for it all to get sorted out. We are using Real Science 4 kids. I like it for the most part. I am glad you found a support group. I hope you can make the meeting sometime. Searching for the right curriculum can be daunting. I love the pics of Amber. She has a smile to light up a room! we had a similar science issue with my boys. My oldest 11 6th grade is great with Apologia. My 1st grade 7 yr old doesn't do well. I have been searching and searching and finally decided on Nancy Larson Science for him. Her smile is so bright and genuine. Looks like she was enjoying herself! !